Driving an RV is a big responsibility. With the size and limitations of a motorhome or towable RV, education and planning ahead is an important part of staying safe on the road, and avoiding accidents whenever possible. Our tricks will help you create a routine for checking the status of your rig before, during, and after travel. The weight of your RV effects just about every part of traveling. From your gas mileage to your risk of collision, it is always important to stay vigilant with weighing your RV. Be sure to always weigh your rig when it is fully loaded, and stay at or under your manufacturer recommended weight rating. Your Gross Vehicle Weight Rating (GVWR) is the absolute maximum number number that your Gross Vehicle Weight or Gross Trailer Weight should never exceed. The GVWR is often referred to as Maximum Loaded Trailer Weight for many towable RV’s. Why is weight so important? If your vehicle is too heavy, it can put a ton of pressuring on the braking and steering components of your rig, which can lead to a higher risk of accident. Additionally, an overloaded rig is very tough on your tires. Blowing one or more tires is very dangerous and very expensive, and nobody wants to deal with an event like that during their travels. This might seem like a pretty obvious suggestion, but we’ve all seen photos of RVs that made an assumption on their height, and lost a battle with a low bridge. Avoid collision and damage by knowing your exact vehicle height. A good rule of thumb is to keep your RV’s height written down on post-it on your dashboard–in feet and meters. A quick glance for reference can then save you from driving under a bridge you shouldn’t! While RV seat-belt laws vary from state to state, it is always a best practice to be strapped in while the rig is in motion. Whether you are sitting upfront or elsewhere, buckling up is the safest way for passengers to travel. On top of this, it is recommended that passengers choose a front-facing seat during travel. It can be a bit of a nuisance to stay put in the rig, but can save your life in the event of a collision. Strapping in doesn’t just apply to your human passengers, either! If you travel with furry companions, consider investing in a harness or pet travel carrier to keep them safe in case of an accident. 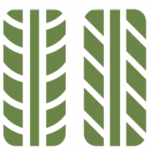 The topic of RV tires comes up a lot on the blog, and for good reason. Having properly sized, inflated, and maintained tires is a huge part of staying safe on the road. A few quick tips for proper tire safety include checking inflation levels at least once a month. Always measure inflation while the tires are “cold”, or have not been used recently, for the most accurate measurements. Once you’ve reached your destination, be sure to block and level your rig to keep unnecessary pressure off of your tire as well. And, as mentioned above, make sure to keep your RV weight in check! If you’re concerned about your tires going bald, losing too much air, or simply having seen to many miles, take your vehicle into a repair facility for inspection. Even with careful planning, things can and will go wrong while you’re traveling. You may not be able to prevent a tire blowout, mechanical failure, or accident, but you can prepare for them! Every RVer should have a 24/7 RV Roadside Assistance plan in place before ever hitting the pavement. This type of policy exists specifically for these emergency situations. 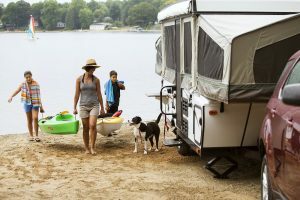 With unlimited towing, flat tire assistance, lockout services and more, an RVer with a great Roadside Assistance plan is never truly alone while traveling. Visit our friends at Wholesale Warranties for more information on RV Roadside Assistance and other RV protection products like an RV extended warranty. Enjoy your next RV trip with a little more peace of mind when you follow our best tips for staying safe on the road. Have an RV Safety tip of your own? 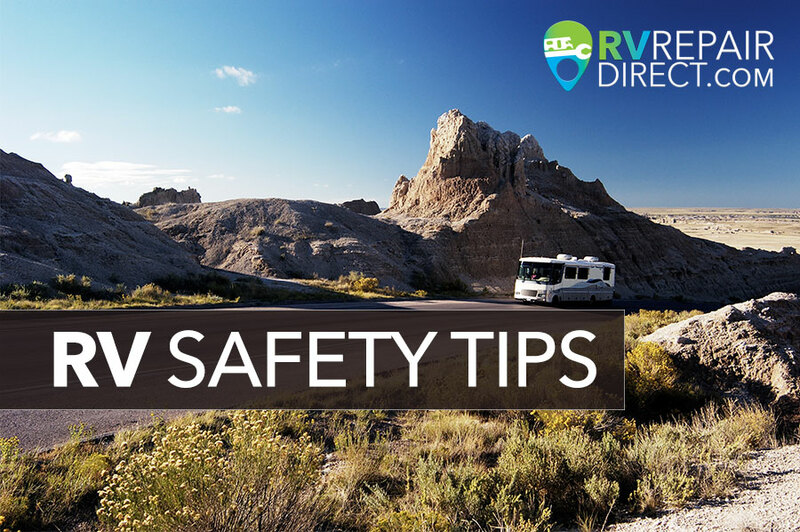 Share your best advice in the comment section below, and help your fellow RVers to a safer road ahead.